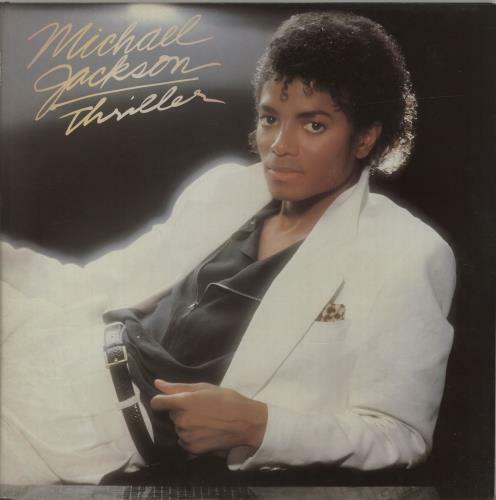 MICHAEL JACKSON Thriller (Classic 1982 UK 9-track LP featuring the monster hit singles The Girl Is Mine, Billie Jean, Beat It, Wanna Be Startin' Somethin', Human Nature , P.Y.T. [Pretty Young Thing] & Thriller, complete with illustrated lyric inner, gatefold picture sleeve. The sleeve shows just a little light shelfwear & the vinyl remains in excellent condition with few signs of play EPC85930).